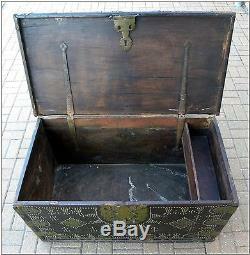 Original 19th Century Sinhalese Trader's Trunk. 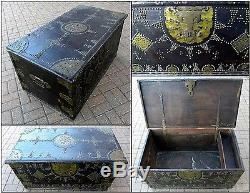 Here's an absolutely outstanding antique trunk for you. 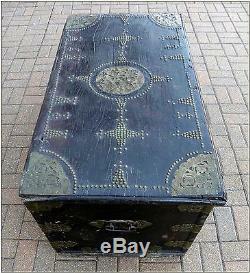 This is an authentic, 19th Century, Sinhalese trader's trunk originating from Sri Lanka. 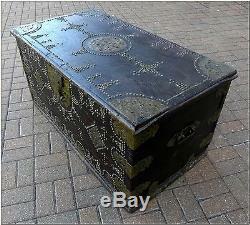 This large trunk measures approximately 23" x 24" x 45. 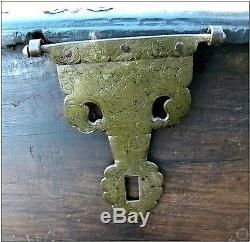 The trunk is made of heavy teak with hammered brass accents, a heavy brass latch & latch plate with numerous brass rivets patterned across the top and sides. 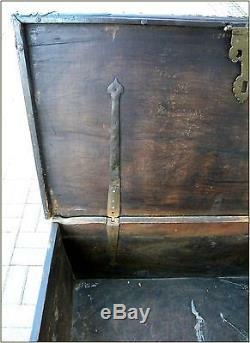 The trunk has hand hammered hinges inside and two iron handles on either end. There is a candle tray on the right upper side of the interior. 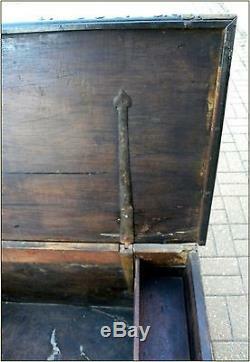 The trunk is well-used, as someone might expect from an item of this age. There is some visible damage to the corners, which you can see in the photos. However, the trunk is very sturdy and obviously, very attractive. I'm confident that this incredible item will make for a very interesting addition to any collection. A superb piece of decor. This is no World Market or Pier One repro. It's the real deal! Please feel free to ask any questions that you may have. I would be happy to provide further, hi-res photos if necessary. The trunk can be viewed or picked up at Hermann's Attic Antique Mall in Hermann, MO. Louis, Columbia or Jefferson City, MO for free. I will also deliver anywhere up to 500 miles from Hermann, MO (65041) for expenses. Please contact me for any of these options. Hermann's Attic is a one-man operation. My sales are offered as a hobby, in-between my regular job. I will always strive to offer personal service. All I ask in return is for your courtesy and understanding. Condition ratings on such items are entirely subjective. As the saying goes, "one man's trash is another man's treasure". I make every effort to be thorough in my descriptions. I just call'em as I see'em, from a layman's point of view. I would be happy to accomodate any special requests that you may have, to include photographing any item from any angle. All you have to do is ask! 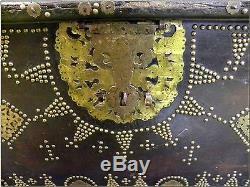 The item "19th Century Sinhalese Sri Lanka Teak & Brass Antique Traders Trunk Chest" is in sale since Monday, February 29, 2016. 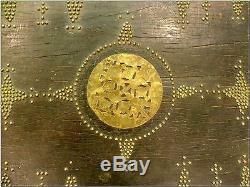 This item is in the category "Antiques\Asian Antiques\Southeast Asia\Other Southeast Asian Antiques". 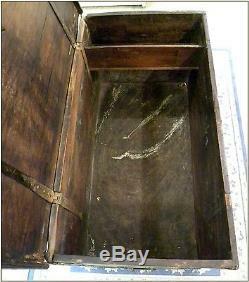 The seller is "hermanns_attic" and is located in Hermann, Missouri.